I dedicate an entire post to my favourite session of the conference: “Global Competencies: East and West, The Pursuit of the Complementarities” organized by Rosana Silveira Reis and chaired by Sherlan Leonardo Cretoiu, (Fundacao Dom Cabral, Brasil). Prof. Yoshitaka Yamazaki (picture below) from Japan presented is study about important competencies of Japanese managers operating in Asia and in the West, respectively. He outlined that there are common competencies for leaders, including leadership, initiative, action. However Japanese managers working in the west feel more ned to develop certain competencies, such as relationship building. Professor Katherine Xin (below) from Shanghai talked about the Re-emergence of China. She explained that Chinese companies are following tree main globalization paths: internal growth, strategic alliances and M&A. They typically acquire global competencies by sourcing talent from abroad. She illustrated a company case, recruiting Japanese retired managers. Professor Prasad Kaipa (below) of the Indian School of Business compared India with the U.S. He gave a very informative talk with tips for good management (most important is to get things done) and concrete company examples from Apple, Tata and the Silicon Valley area. He provided entertaining stories like the metaphor of the smart fox and the cool cat, as two perspectives of management approaches. Social entrepreneurship is attracting a large and growing interest at the Academy, reflecting its increasing popularity. A number of PDW and Symposia were organized on the topic, and most of them were fully booked including “Social Entrepreneurship and Broader Theories: Shedding New Light on the Bigger Picture” organized by Susan Mueller. 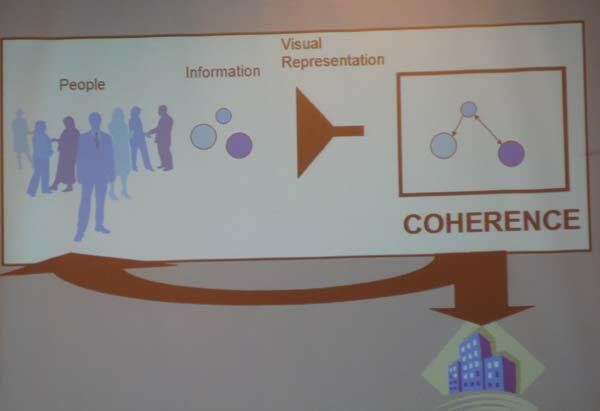 Johanna Mair, a well known researcher in this area, presented a framework (in the picture below), with 3 main elements: theory, methods and phenomenon. Her colleague Lisa Hehenberger presented their research on Venture Philanthropy. The session “Entrepreneurship in the Social Context: Is it Really Different?” was remarkable, and it included talks on “How Social Entrepreneurs Define Success”, cross-national variation in social entrepreneurship, how social is different from commercial entrepreneurship (double bottom line: social + commercial). Zev Lowe (ESADE Business School) presented “Design-Driven Social Ventures: An Alternative to the Community-Led Approach” with two fascinating cases: KIVA and Worldreader.